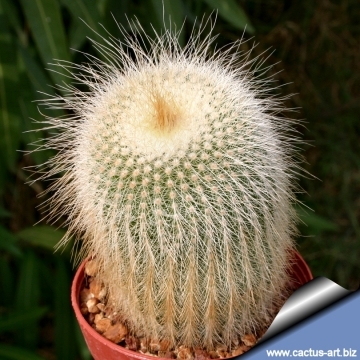 This is the beautiful white spined form of the famous golden ball cactus. 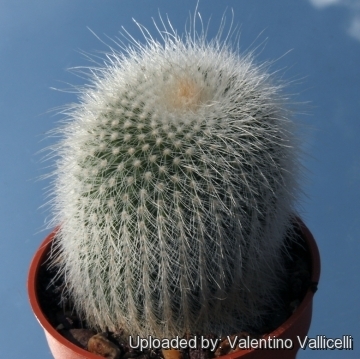 Habitat: The habitat where this plant come from can become very cold during the winter nights, often it will fall to just above freezing without harming the plants as it is also very dry. 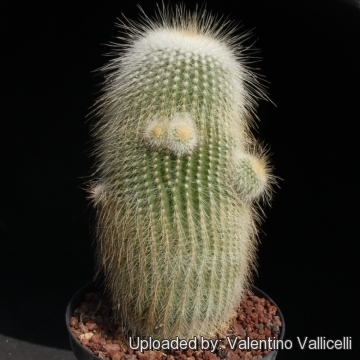 Description: Parodia leninghausii cv. 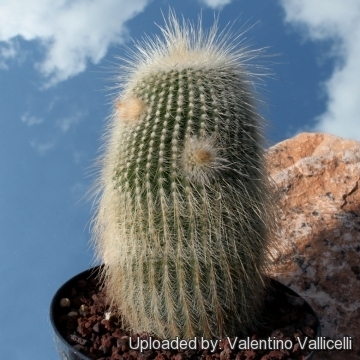 albispina best known in cultivation with its old name Notocactus leninghausii var. 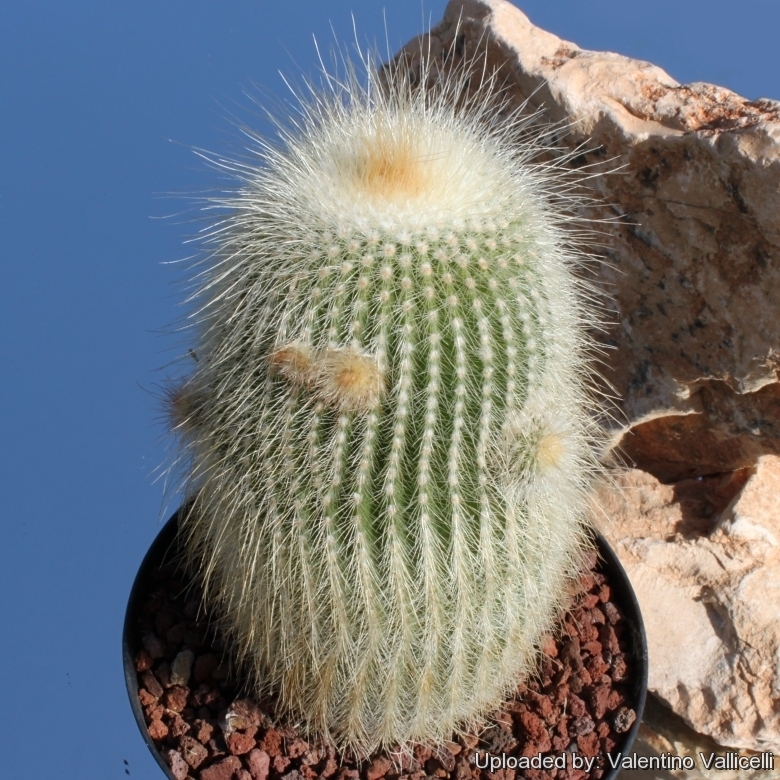 albispinus is the white spined variant of Parodia leninghausii distingushed from the latter by its harmless creamy-white spines and pale yellowish flowers. All the other characteristics are absolutely identical, namely size and form of stem, ribs, form size of flowers and fruit etc. 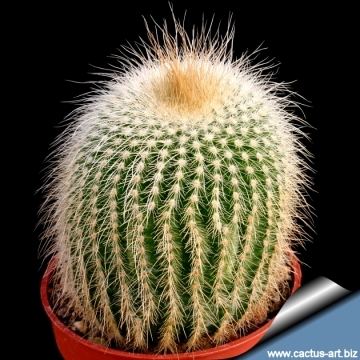 Habit: It is a columnar Cactus that branches and will start to cluster from the base as it ages. 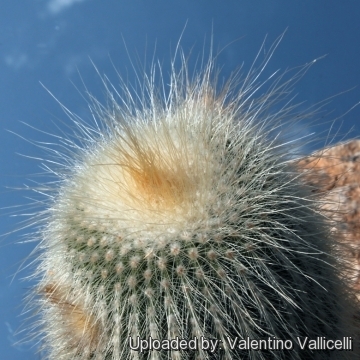 Spines: Harmless, creamy-white and bristly. Flowers: Near the top, 5-6 cm in diameter pale yellowish, silky, shining with a lovely reflection in the petals. Blooming season: It blooms only when mature in Spring to late Summer. Blooms more than once a year.